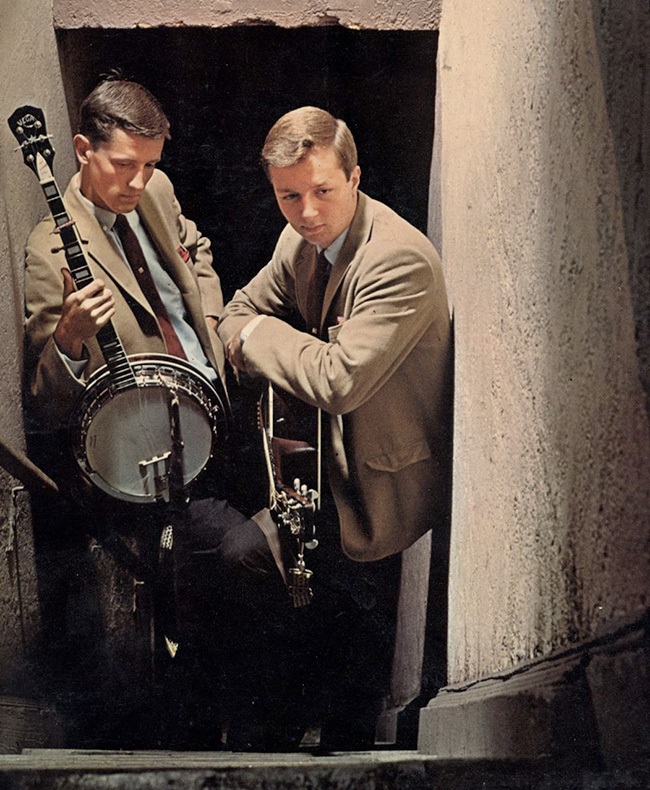 The folksinging duo Brown and Dana recorded an album for MGM in the '60's and toured the country, performing at more than a hundred colleges and folk clubs. They are being rediscovered by college students digging back through folk archives, and more and more iPods have a Brown and Dana tune or two on the playlist. Their recordings of It Was A Very Good Year (which may have inspired Frank Sinatra's later version); Wanderin', sung by Al Dana(later recorded by James Taylor); and great original guitar and banjo work by Garrett Brown have made them todays "Best-known obscure folk group" according to online folk DJ Ken at Shady Grove Radio, who said, on his broadcast, January 15, 2006: "The featured artists are Brown & Dana and their album, It Was A Very Good Year, from 1963. I think you'll really appreciate these guys as their harmony is exceptional! ...Enjoy!" Oddly enough, their rediscovery was prefigured in Korea, where many websites feature their work.